The Organization for Security and Cooperation in Europe (OSCE) also confirmed on Tuesday that the deadly explosion at the city’s administrative building was indeed an airstrike. 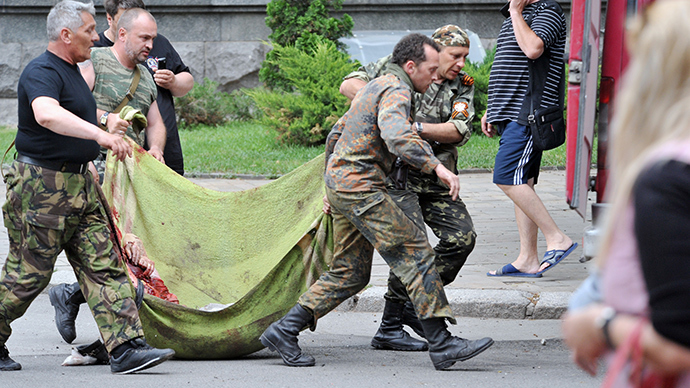 Kiev has so far denied the responsibility for the incident, saying its forces “do not target” civilian areas. 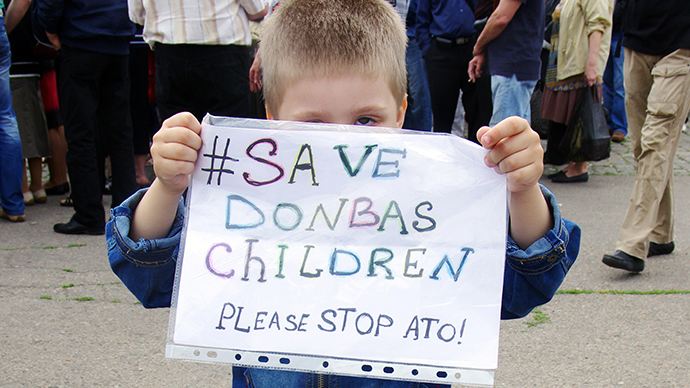 The OSCE Ukrainian mission’s daily report stated that "on 2 June, shortly after 15:00 hrs, rockets hit the occupied regional administration building. Based on the SMM’s limited observation these strikes were the result of non-guided rockets shot from an aircraft." 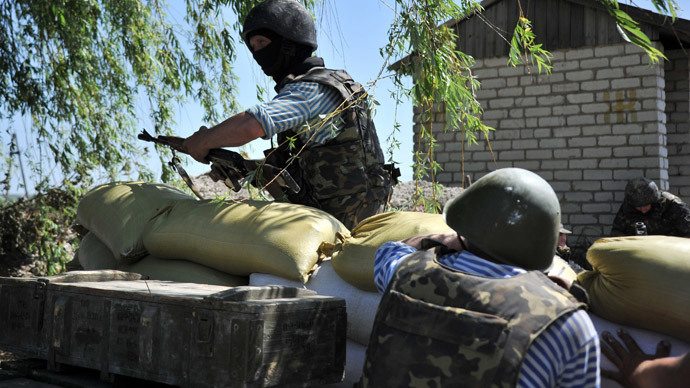 According to an earlier statement by the Ukrainian Defense Ministry, the intense bombing in Lugansk area was meant to “support the Ukrainian Border Guards,” which the local militia have been trying to take under control. “All in all, for fulfilling the combat support of the Ukrainian border guards the army aviators fired more than 150 missiles, carried out three jet sorties and five helicopter sorties,” the statement says. 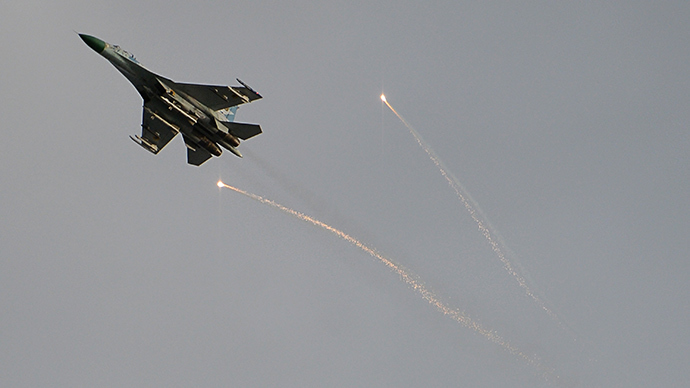 The air support was backed by fighter jets launching decoy flares to prevent the attacking aircraft from being targeted from the ground. According to the ministry, two self-defense checkpoints were destroyed in the attack. 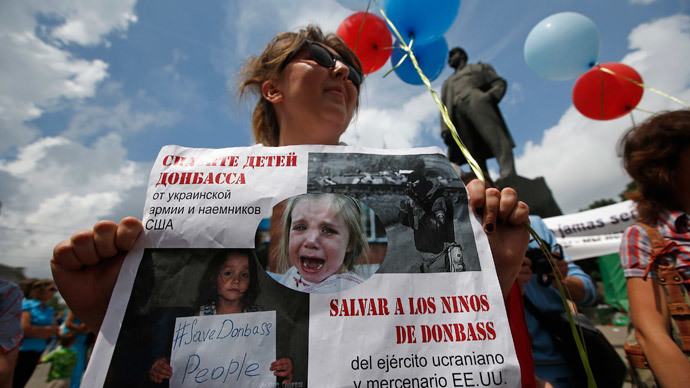 Not all the Monday fighting was on the outskirts of Lugansk, apparently, as one Ukrainian missile hit the occupied Lugansk administration building, killing at least eight civilians inside and nearby. 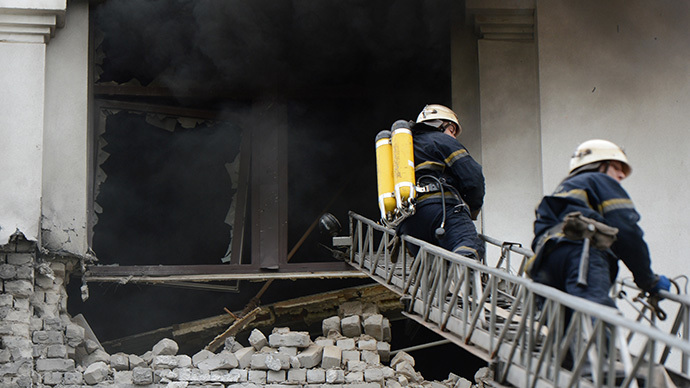 Some Kiev politicians have laid the blame on the self-defense forces for the “blast,” which has undoubtedly been confirmed as an airstrike by the accounts of witnesses and the CCTV footage from the scene.